With Verified Reviews you can easily display product and website reviews to increase your sales by reassuring your clients of the reliability of your products and the quality of your website. Using Verified Reviews and LoyaltyLion together you can boost customer trust and conversion by using loyalty points to encourage customers to leave reviews of your products. Reward reviews to leverage sales and repeat purchase: 91 percent of people read online reviews, and 84 percent trust those reviews as much as they do personal recommendations from their friends and family. 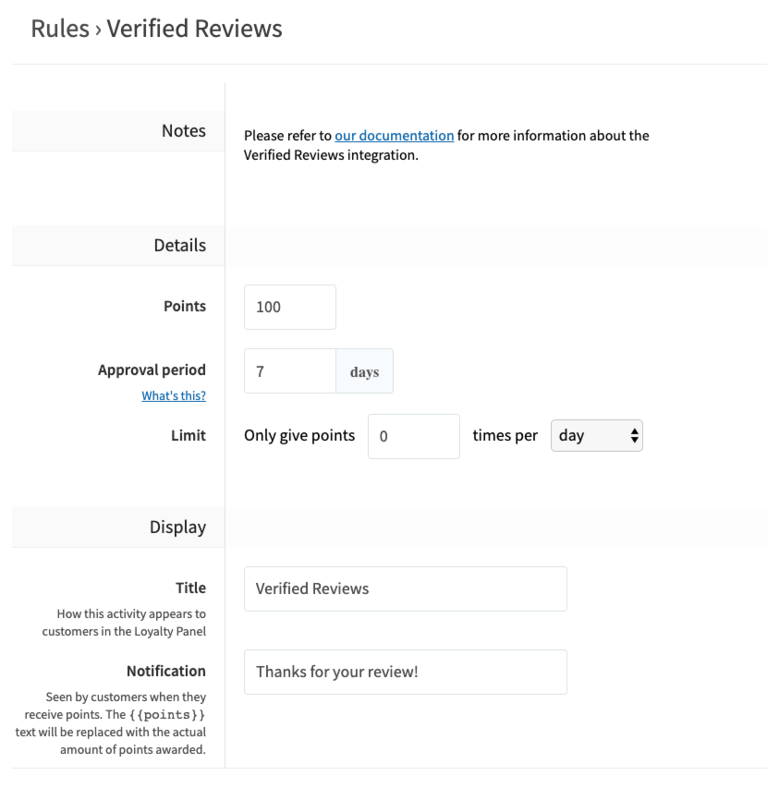 With the LoyaltyLion and Verified Reviews integration, you can reward customers who leave reviews with points to spend on their next purchase. This not only encourages these happy customers to return and buy from you sooner but it also boosts traffic, credibility and ultimately sales. Encourage reviews in post-purchase emails: inform your existing customers of the points they will earn by leaving a review in your post-purchase emails. This will give them a reason to return to your site to make another purchase sooner. In your LoyaltyLion account, click on "Manage" > "Integrations" > "Verified Reviews" > ''Configure integration"